The ushering in of the -ber months mean a change in the fashion season. This means new trends and new looks to look forward to for all the parties you'll be attending—there's just no excuse to not be stylishly extra! Upgrading your wardrobe in time for the busy yet fun season would mean new styles to try on. And with the significant change in the season's weather, it gives us all the more reason to go shopping. While coats are generally difficult to pull off in our streets, embracing the season's trends can be about unconventional monochromes or adding a modern twist to classics—we're looking at Victorian collars and flared jeans. Plus, a little bit of experimenting here and there—ever heard of plastic overlays? Or perhaps it's about time you use that velvet piece waiting in your closet? Whether you're confident or sweet, or a classic or modern chic, this season's trends have got something just for you to perfectly match your personality! 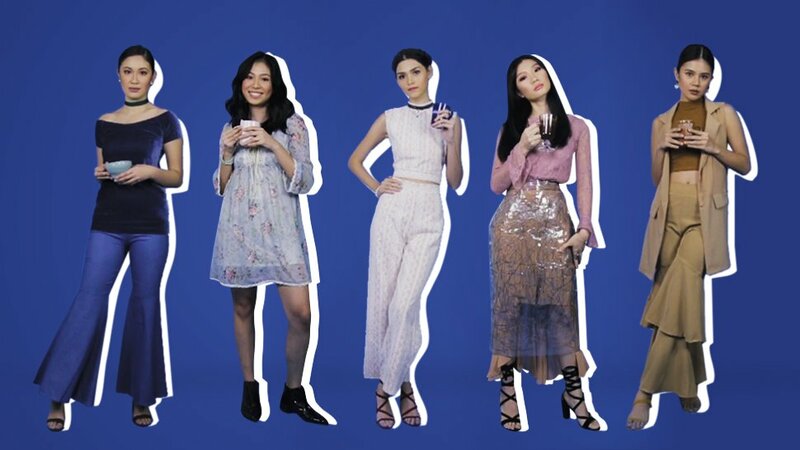 Check out this video inspired by our favorite Instagram girls at this exciting time of the year—after all, September signals the peak of fashion (hello, Preview September 2017 ish!). We've showcased trends to help you revamp your wardrobe to match your personal style. While we're at it, this season's stylish but cozy OOTDs are best spent with a good warm drink in hand like the classic Swiss Miss that comes in five variants to match every mood and style! To learn more about Swiss Miss, click here. This article was created by Summit StoryLabs in partnership with Swiss Miss.